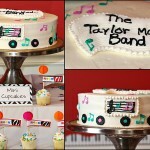 We are excited for the Radio Release Party tomorrow night, September 9th, 2011 featuring The Taylor Made Band. We are looking forward to seeing everyone!!! !